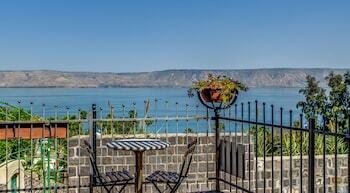 With a stay at Yaelit & Orit Luxury Villa in Migdal, you'll be within a 10-minute drive of Sea of Galilee and Magdala. Free self parking is available onsite. With a stay at this apartment in Jerusalem, you'll be within a 15-minute walk of Jerusalem Great Synagogue and L.A. Meyer Institute for Islamic Art. With a stay at Kerem Hateiminim Apartments in Tel Aviv (Tel Aviv City Center), you'll be a 4-minute walk from Carmel Market and 12 minutes by foot from Dizengoff Centre.